Summer is in full swing! 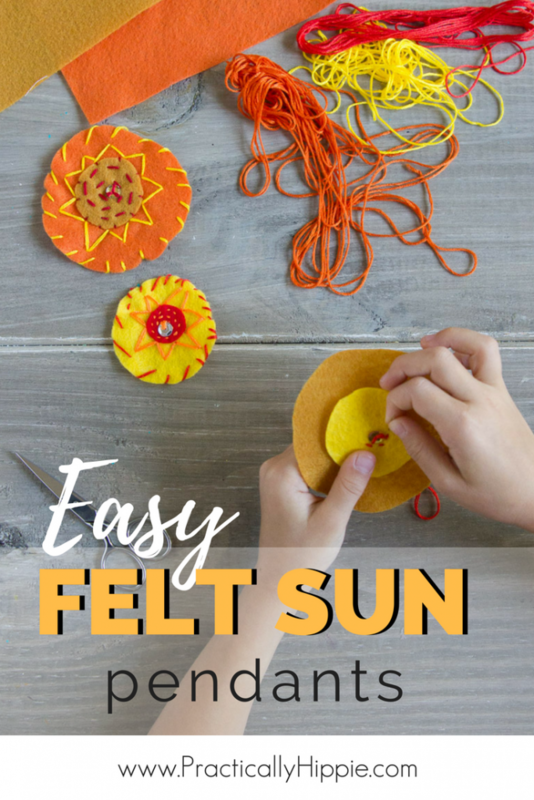 These easy felt sun pedants are the perfect way to celebrate the summer solstice or the wonder of the summer sun. We’re enjoying a break from our homeschool and already checking off items on our summer bucket list. It’s a fun tradition for us to pause and observe the summer solstice. I saw this handcraft from The Knitty Gritty Homesteader and it was a great way to spend an afternoon. 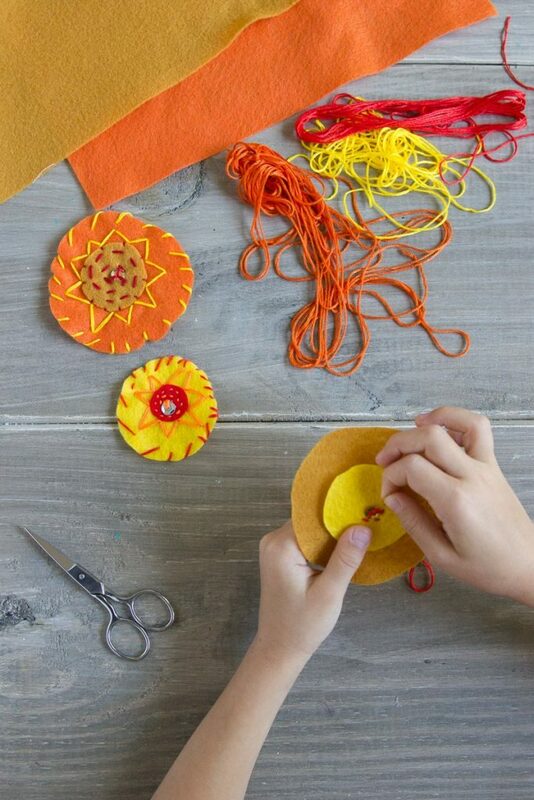 This handcraft is simple enough for even the littlest helpers to participate. My children are 18 months, 4, and 6.5. Obviously the older ones could do more, but my 18 month old loved playing with the felt, picking out sequins, and handing me embroidery thread. My 4 year old was very proud that he was able to do a lot of his stitches all by himself. He needed hands-on assistance from me, but choose his colors and directed me on the design who I was helping. My 6 year old completed this project largely unassisted. I tied the knots for her and that’s about it! 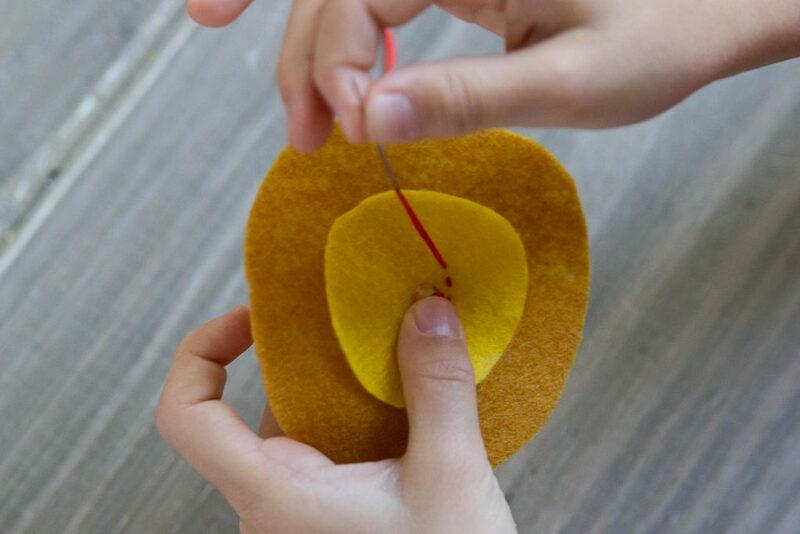 We’ve been practicing with our wooden sewing board for years so my older two already know how to make some basic stitches. Every child is different; remember to meet them where they are and appreciate whatever they have to offer. Choose your felt colors. Cut out one smaller circle for the center. Cut out two larger circles for the main part of the sun. 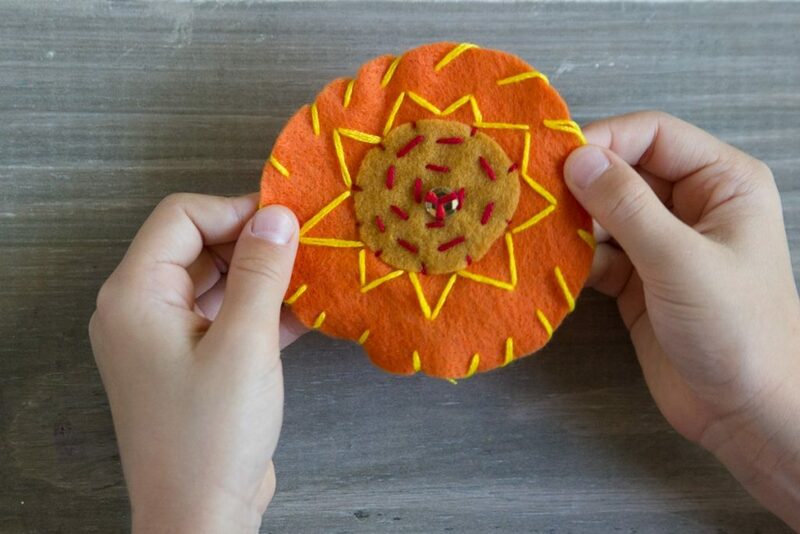 Attach the smaller circle to one of the larger circles by running a stitch in a spiral pattern. Attach one sequin in the center. 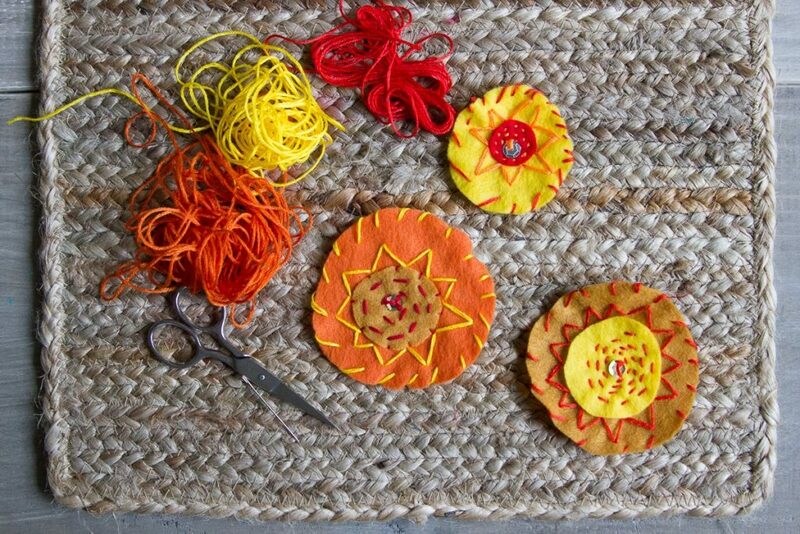 Use a contrasting tread color to stitch the sun’s rays outside the smaller circle onto the larger circle. 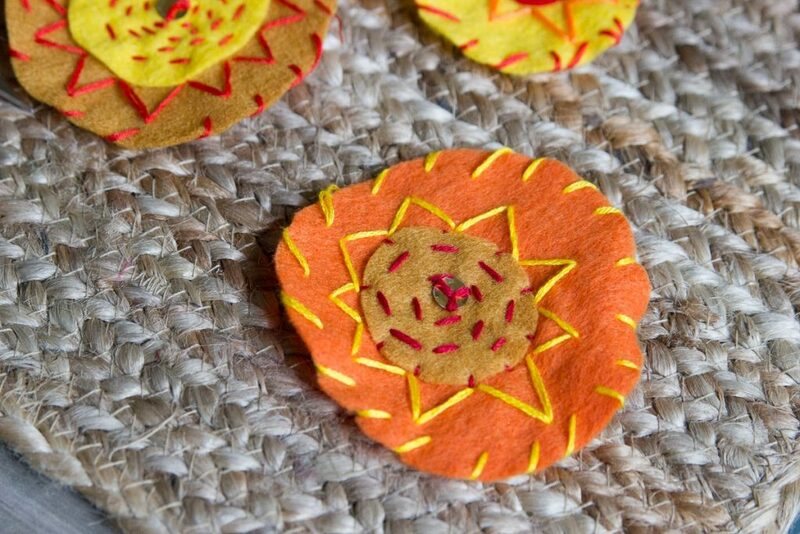 Place the second large circle behind the first one and use a blanket stitch to attach it as a backing. 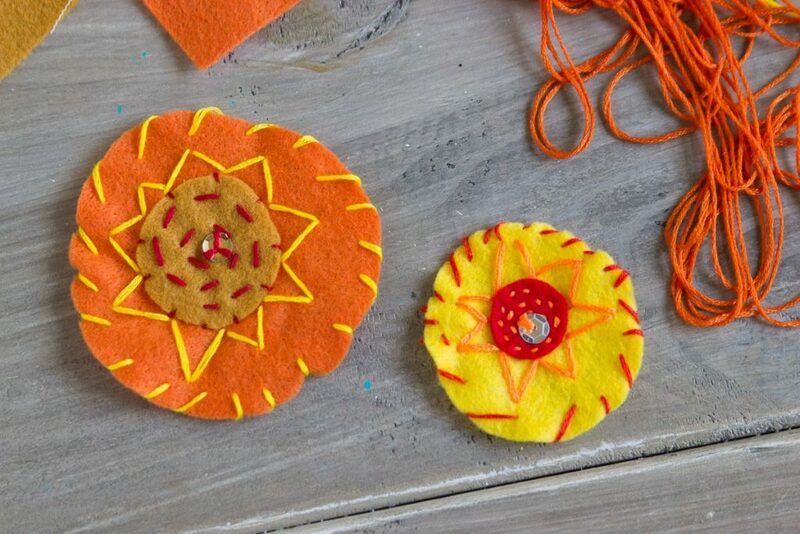 Use these easy felt sun pedants to create a summer bunting for your nature table, a necklace, ornaments to hang- the options are endless! If you try out this handcraft, I’d love to see your finished product! Share with me on Instagram or Facebook, and be sure to Pin this as well to remember for next year.